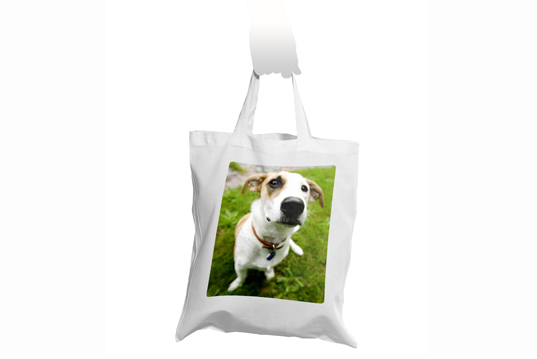 Now you can put your own favourite photo onto a high quality, lasting shopping bag. What picture will you choose - your kids, your friends or a loving pet? The bag is made of 100% white cotton canvas.